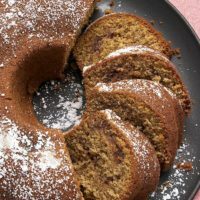 Last week, we talked about desserts that could survive the heat of the upcoming outdoor get-togethers we probably all have on our warm weather calendars. 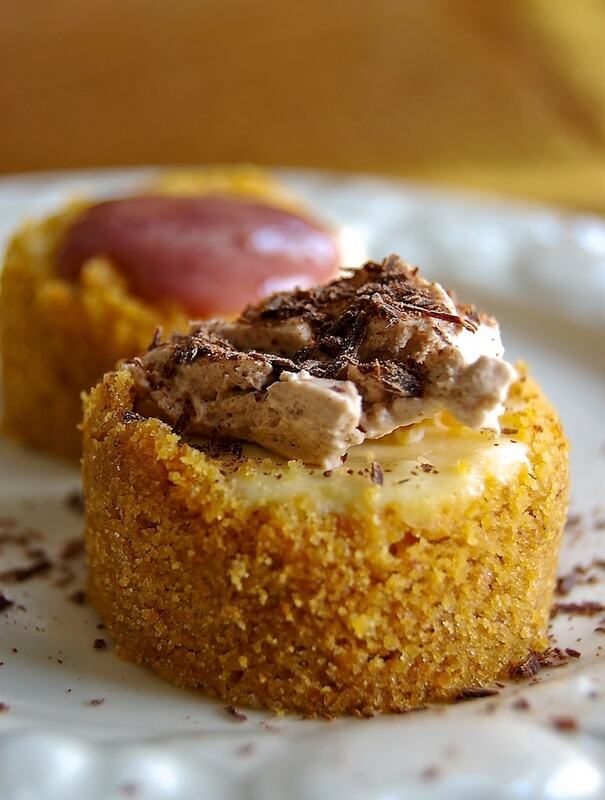 This week, we’ll switch gears a bit and focus on some fabulous desserts that are served cold from your refrigerator. 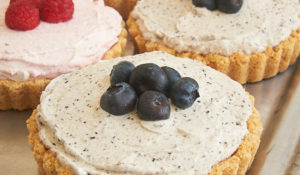 One of my all-time favorite cool desserts is Magnolia Bakery’s Blueberry Jamboree. 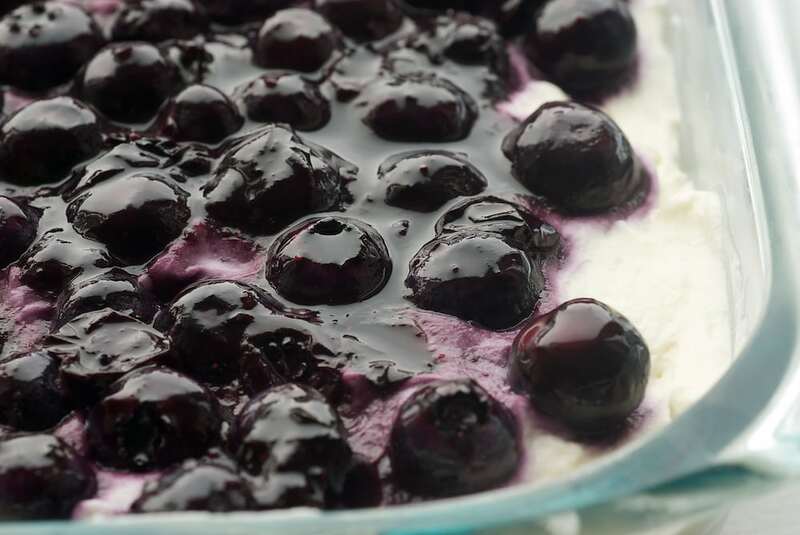 It’s a lovely layered dessert with plenty of cream cheese and blueberries. This one will be making a return appearance on our table soon. 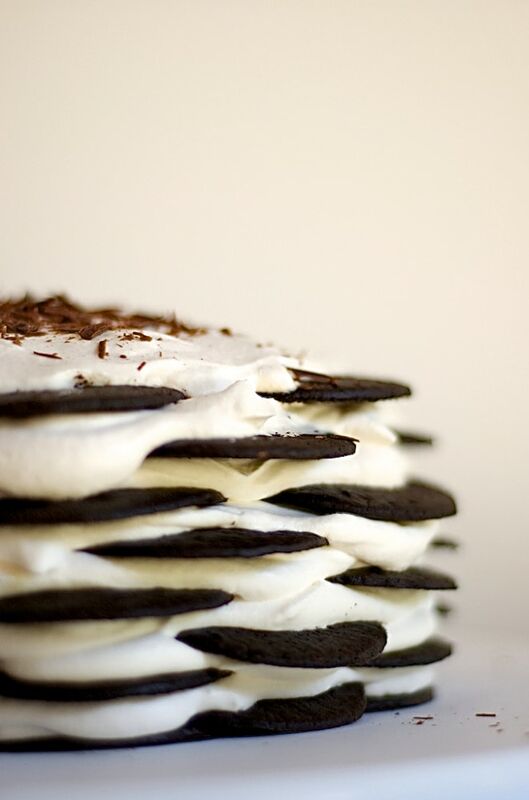 One of the best returns on very little effort is this Chocolate Wafer Icebox Cake. The recipe has been around in some form for many years. Those chocolate wafers can be a little hard to find. 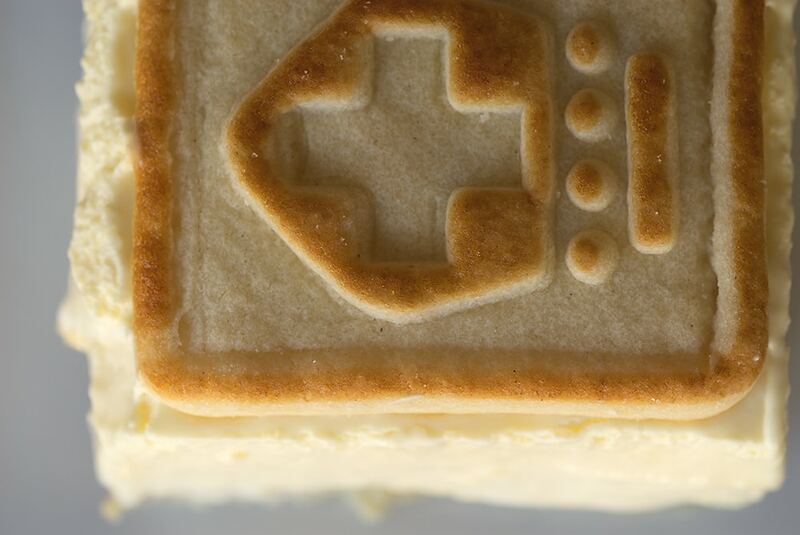 If you can’t find them, it’s worth noting that I’ve seen this done with other cookies, too. Chocolate chip, peanut butter, vanilla wafers would all work. They just need to be on the sturdy side to hold up to all the filling. I often describe this Banana Pudding as banana pudding for people who don’t like banana pudding. I definitely fall into that category. Much like the Chocolate Wafer Icebox Cake, there’s not a lot of effort required for this dessert. Really, you’ll just need to mix a few things and assemble everything. It’s no secret how much I adore the combination of chocolate and peanut butter. 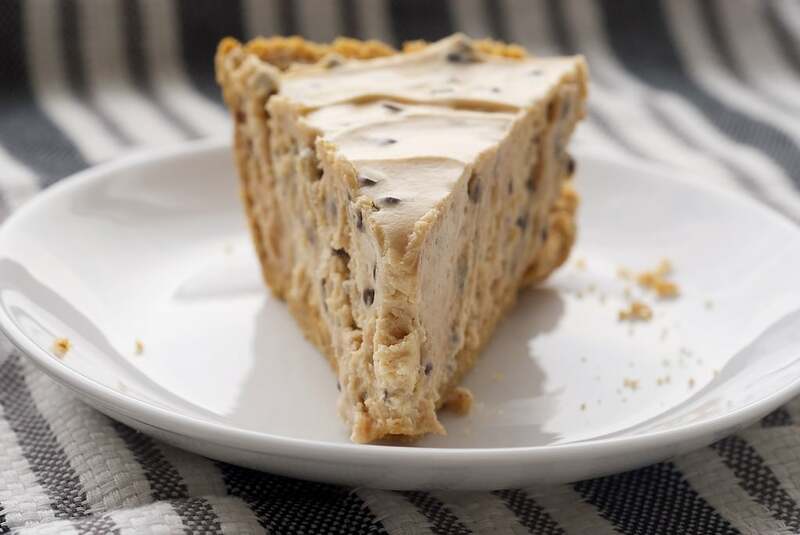 My favorite Peanut Butter-Chocolate Chip Pie is a shining example of why I love that combo so much. It’s cool and creamy and pretty much irresistible. I would make it more often if I weren’t so tempted to eat the entire thing! 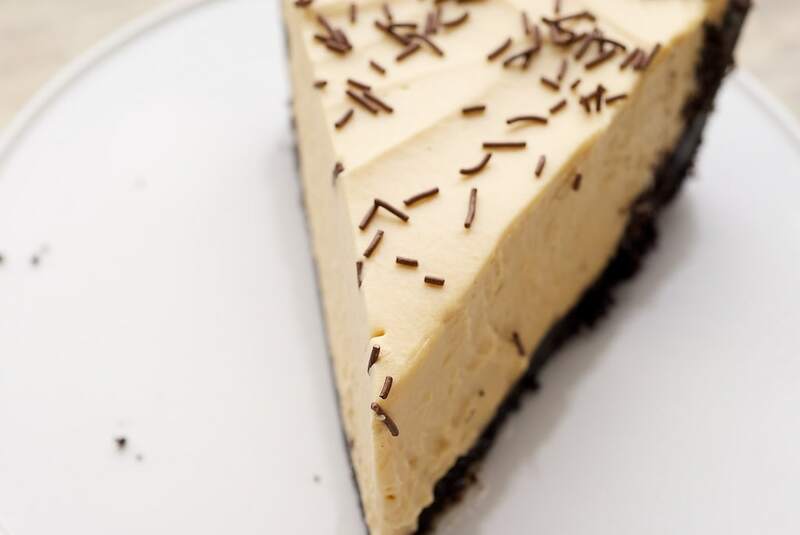 This Salted Caramel Icebox Pie is prepared in a very similar way to the Peanut Butter-Chocolate Chip Pie. But, we have a chocolate cookie crust and a creamy, salty caramel filling. If you don’t have easy access to salted caramel, you can use another caramel sauce and add some coarse salt to taste. 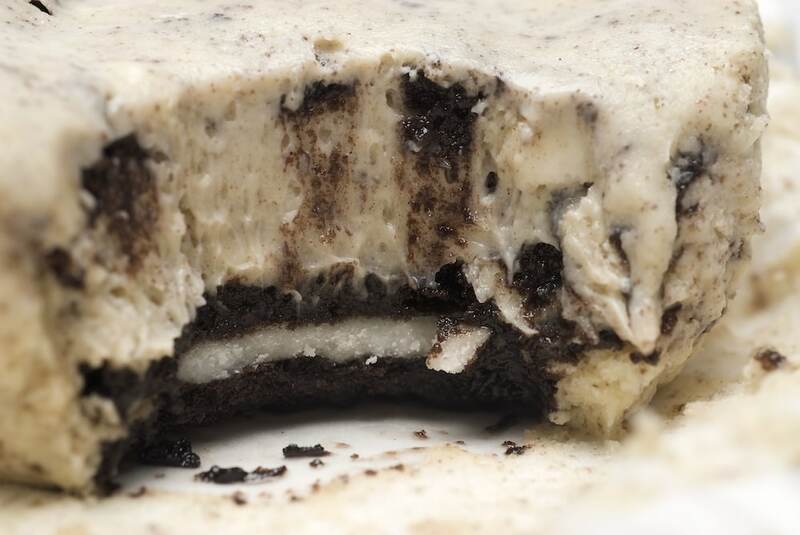 I’ve made these Cookies and Cream Cheesecakes countless times. They are always a crowd pleaser. I love that they feature an Oreo cookie as a crust shortcut. They’re quick and easy to make, and they will also be devoured quickly and easily. 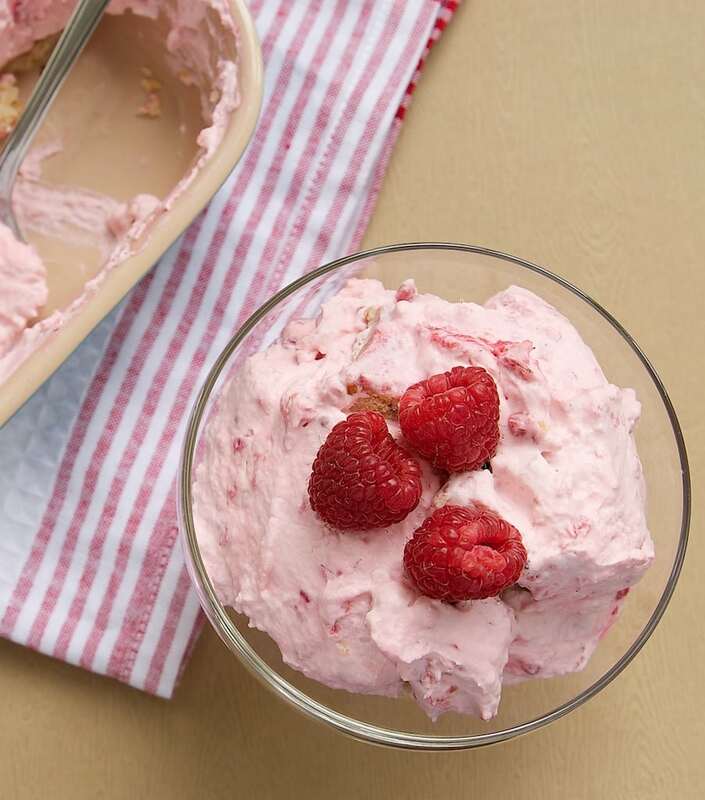 Take advantage of fresh berries with this Raspberry Shortbread Fool. While I love the shortbread addition, you can make the filling and serve with fresh berries for a super easy dessert. Any berries will work for this cool and fluffy dessert. 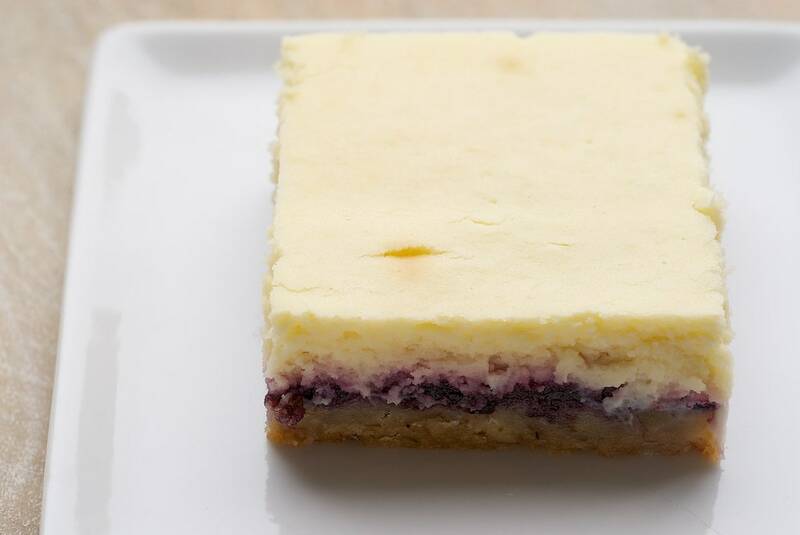 Lemons and blueberries go so well together, and these Lemon Blueberry Cheesecake Bars take full advantage of that combo. 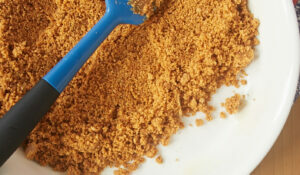 I love the buttery, nutty crust, but feel free to use the more traditional graham cracker crust. Then, layer blueberry preserves and cream cheese filling. 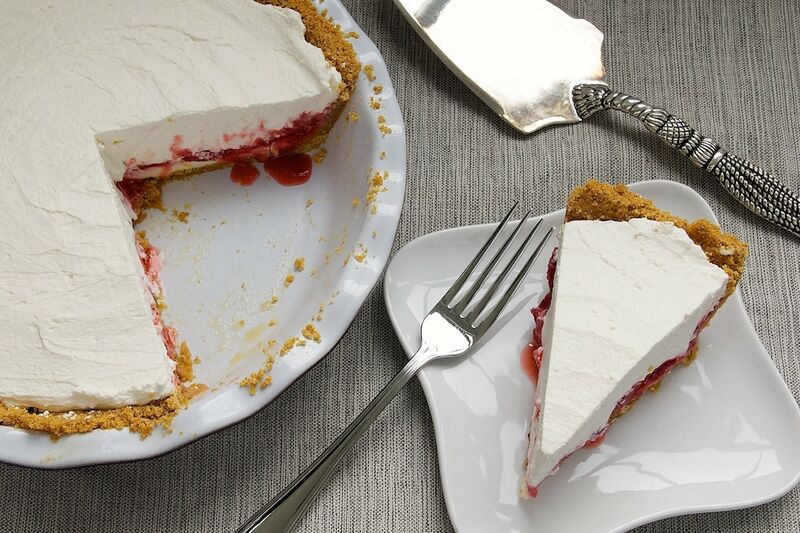 One of my most popular recent recipes is this Strawberry Icebox Pie. I can’t say I blame any of you for liking this one. It has a couple of my favorite characteristics going for it – simple and delicious. 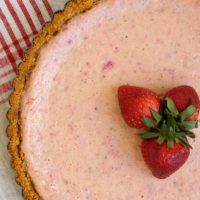 And, with fresh strawberries popping up, this is the perfect time to make this cool, refreshing dessert. 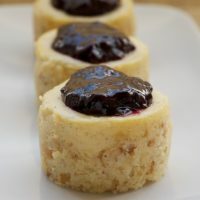 Mini Cheesecakes are one of my favorite things to make when I want to offer lots of options. You can easily have different toppings for these so everyone can make their own favorite. I included a couple of easy toppings in the recipe, but there are so many possibilities, from canned pie filling to flavored whipped creams to a drizzle of sauce or syrup. 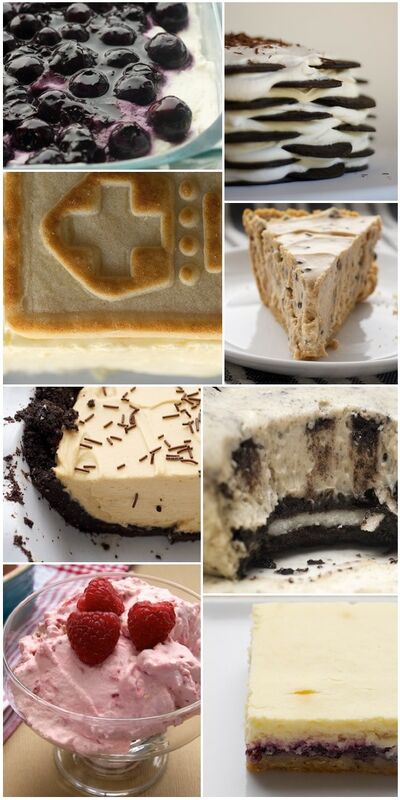 I hope you’re inspired now to make some of these cold desserts. And, keep up with BoB in these warmer days, as I’m sure to have more refreshingly cool desserts soon! 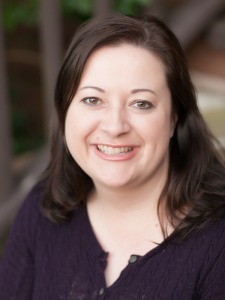 Now, a couple more things to tell you about…. 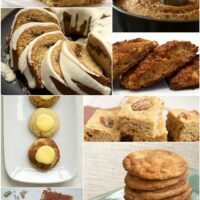 Remember the recent giveaway for a trip to Duncan Hines’ test kitchen? If you entered and didn’t win or just missed out on that, then I have great news. 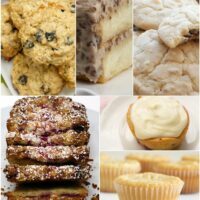 You have a second chance to win a trip to Duncan Hines to tour their test kitchens, try some treats, and meet me and some great bloggers. Click here for details on how you can win. Good luck! I hope to see you there! Don’t forget to enter my White Lily giveaway! And, while you’re at it, bake up some homemade Buttermilk Biscuits this weekend. 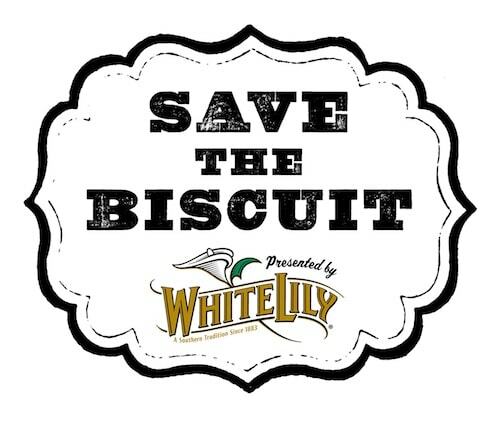 Together, we can Save the Biscuit! 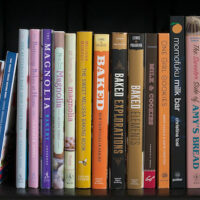 Next month is a big month for Bake or Break. I’ll be celebrating BoB’s 7th anniversary! Be sure to stay up to date with all the goings-on. You won’t want to miss what’s coming up! I agree that picking just one would be a problem 🙂 They all look amazing! And with the dreary weather we are having this weekend – any would be a welcome treat! But if I could pick only one, it’d be the strawberry pie. I recently made strawberry pie too, but yours is much prettier. Mine had the strawberries on top. 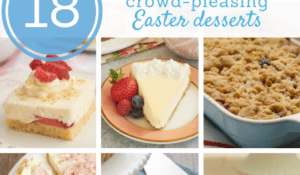 I love that yours are on the bottom with the pretty, white creamy layer on top! I’ll have to try that next time. What a great round-up! I can’t even pick just one that I want to make – I want them all! But ok, I’m pretty intrigued by the banana pudding. I love banana pudding but rarely make the effort. That recipe sounds effortless and low-maintenance!